Flash storage is going through a major boom period. Data from IDC shows that in the last quarter, the All Flash Array (AFA) market grew by 41.7% year-on-year , and this is on top of a year-on-year gain of over 50% (54.7%) the previous quarter to that. It is now the fastest growing form of storage in enterprise environments, ahead of disc-based and hybrid storage environments. Where traditional disc-based storage utilises spinning platters that improving the data saved, flash memory is solid-state memory chips that have no moving parts. This gives flash storage technology several advantages over disc-based storage, and coupled with an ever-more affordable price point for flash storage at scale, those unique advantages explain why enterprises are so actively embracing flash storage for their environments. Traditionally, disc-based storage’s key advantage over flash was price for capacity. Flash was fine for the little USB keys that held a couple of gigabytes, but when it came to an enterprise computing environment, storing the entire organisation’s data within flash was not financially feasible. A lower cost to run. Because disc-based storage has moving parts that need to be powered, and flash-based storage does not, flash storage is substantially cheaper in terms of power costs. Improved reliability. Once flash-based storage was considered less reliable and storage chips would need replacing more frequently. Over time, the reliability of flash is now equivalent to that of disc storage solutions. Better performance. 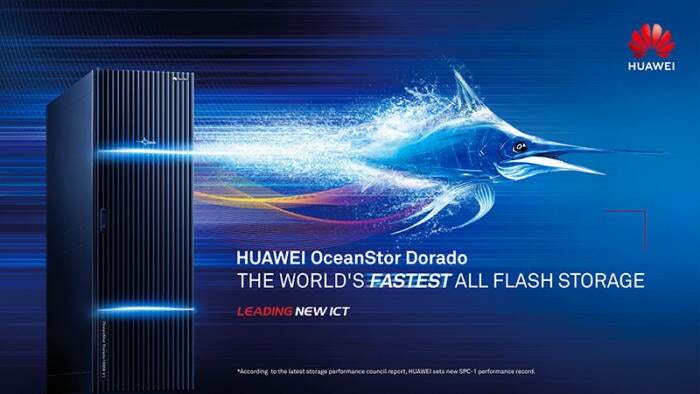 Native-flash design from Huawei FlashLink technology offers a latency of just 0.5 ms, and therefore delivers a 10-fold improvement over traditional storage solutions. Greater innovation. 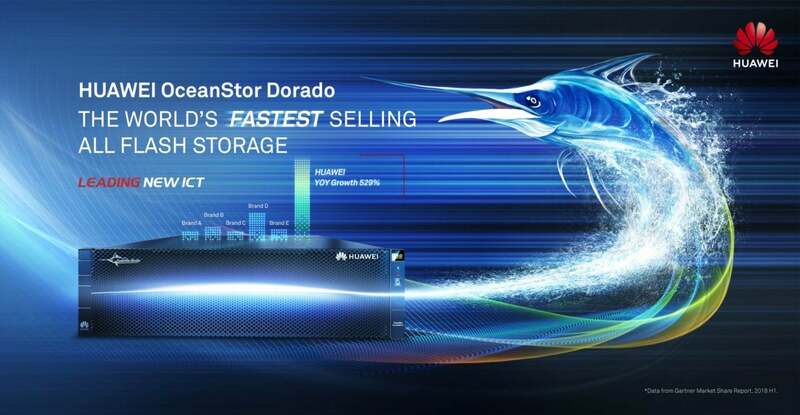 Flash is where the innovation happens in the storage space. Huawei, for example, has earned over 800 storage patents, and that innovation is helping the flash storage industry remain relevant in an increasingly disrupted and rapidly evolving technology industry. Flash offers greater compression. Flash storage can hold up to 5x the data within the same location. These advantages are helping industries and sectors in all fields achieve greater levels of efficiency and performance. With so many sectors focused on digital transformation and platform refreshes, it’s important that as part of these initiatives they also take a close look at storage as the foundation. Many industries are going through transformation initiatives in order to handle more complex and data-intensive processes, and it’s in flash-based memory arrays that organisations are able to implement solutions to handle the speed and performance requirements to underpin those initiatives. For example, Huawei works with a number of banks across the world that are looking to better handle the huge density interactions and transactions that they received every second. Those banks are benefitting from the low latency and faster processing of flash-based arrays to reduce bottlenecks to critical consumer-facing systems, particularly through service peak periods. Other organisations, both in the public and private sphere, are looking to leverage advanced BI systems to enable real-time decision making. This is particularly true when enterprises wish to enable AI systems to handle an increasing number of processes, or government agencies are looking to implement more sensors throughout the city to collect data in real time and enable smart cities. Flash storage is essential for these solutions in enabling a real-time use of memory. As previously noted, one of the strengths of flash is that it’s still a rapidly evolving technology, and new innovations are being brought to flash arrays constantly. One area where flash has traditionally held a weakness is in handling “cold data” – in other words, flash used for backup and archiving data. Traditionally this has been seen as an inefficient way to handle the huge amounts of data that organisations need to back up, where sheer price efficiency is all that is desires. Much of the demand for Hybrid Flash Arrays is driven by the desire to have flash handle the “hot” data, while storing all backups on disc-based arrays. This is changing as IT finds greater uses for historical and backup data. The idea is that in the future all data will effectively be “hot data” and strategically leveraged by an organisation. This future is a driving point for the storage industry, and in order to enable it, the efficiency of flash storage will continue to improve – both in terms of price, and its utilisation within the IT environment.